To ask Her Majesty’s Government what assessment they have made of food security following Brexit. The Lord Bishop of Salisbury: I beg leave to ask the Question in the name of the right reverend Prelate the Bishop of St Albans, who has been detained on other business. The Parliamentary Under-Secretary of State, Department for Environment, Food and Rural Affairs (Lord Gardiner of Kimble) (Con): My Lords, Defra regularly assesses the security of food supply and has well-established relationships with industry on supply chain resilience. The UK has a high degree of food security, as shown by the UK Food Security Assessment. This is built on access to diverse sources of supply, including our domestic ​production. I declare my farming interests as set out in the register. Consumers will continue to have a wide choice of food after we leave the EU. On 18th September 2018 the Bishop of St Albans, Rt Revd Alan Smith, received a written answer to a question on food security and farm payments after Brexit. 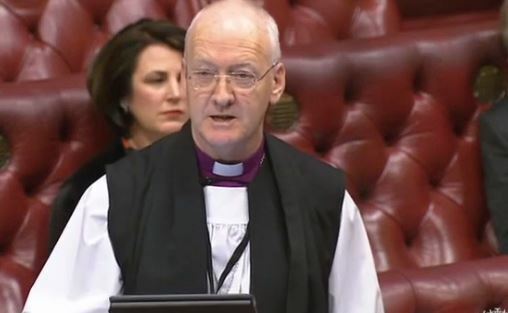 The Lord Bishop of Leeds: My Lords, a number of questions have already been posed, and I pity the Minister for having to go through them in some detail. We heard earlier that we in this Chamber tend to be gloomy, and now we should be cheerful. I am neither; I am just puzzled—which is not a new experience.